Just a bit south of Venice and a bit west of Culver City, this coastal neighborhood is one of the most idyllic spots in the United States…but that doesn't mean that people who live there never require urgent care. Marina del Rey residents are, in fact, very often busy people who often simply don't have time to get sick. No wonder then, that the services of an outstanding house call doctor are especially in demand in this beautiful but bustling locale. 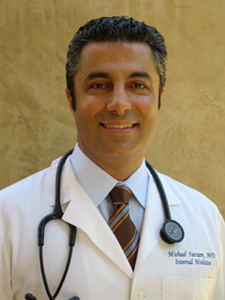 Dr. Michael Farzam of House Call Doctor Los Angeles is the first choice of many for urgent care in Marina del Rey because he combines the best of old fashioned personalized care with the most up-to-date methods of modern medicine – and his costs are surprisingly reasonable. The house call physician for urgent care Los Angeles turns to first, Dr. Farzam services all of the Greater L.A. area, but he is happy to say that he has a large following in the coastal parts of L.A. as well as nearby Santa Monica, Malibu, as well as Manhattan Beach, Palos Verdes, Rolling Hills, and Torrance. These are areas where many patients understand the value of personalized service and also wish to take advantage of the very latest and best in highly advanced telehealth services. The fact of the matter is that standard urgent care in Marina del Rey can be far from ideal for a person who is actually unwell. If you're really sick, the last thing you want to do is brave stressful West Los Angeles traffic for 45 minutes, only to follow it up by spending an hour or two in a waiting room next to other unwell people. How much better to be able to wait for your doctor while relaxing in the comfort of your own home? Dr. Farzam is confident that people who take advantage of his special approach do better with their urgent care. Marina del Rey residents and people through the L.A. area have made their preference for House Call Doctor Los Angeles loud and clear, and it's easy to see why. For details. call 310-849-7991 today.